Earlier this year, we gave you a sneak peek on one of the future releases of the Air Jordan 9 Retro – the “Johnny Kilroy” edition. This time, multiple sources confirmed that this special-edition kick will be hitting shelves on October 6 – earlier than the “Cool Grey” and “Olive” edition of the Air Jordan 9 Retro, which will also be hitting the market later this year. 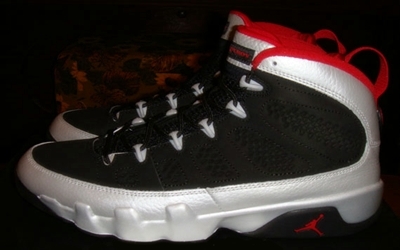 The Air Jordan 9 “Johnny Kilroy” could be available on a limited-basis only so make sure that you won’t waste the chance of getting your own pair once it hits the market.